Imagine a quintessential Maine seacoast town. What does it look like? Shaded streets, white buildings, a green in the middle? Many Maine coastal villages have these features, but few boast such a fascinating history as Castine. Situated on a narrow peninsula that juts into the Penobscot Bay, Castine is well off the beaten path today. But it sits in a strategic location that has been fought over at various points in its long history – it changed hands at least eight times. The flags of four nations, France, Holland, England and the United States, have flown over this small town. The land has been occupied continuously since the early 1600s, if not before. Originally home to several tribes of Native Americans, eventually the Europeans arrived. First the French built a fort called Fort Pentagoet in the 1630s, an attempt to control a region they called “Acadia.” Then a French nobleman, Baron Jean Vincent d’Abbadie de St. Castin, established a trading post in the 1670s. By 1713 it was part of the British empire. I’d visited Castine one summer and enjoyed its charms. A month ago I had the opportunity to visit in winter. 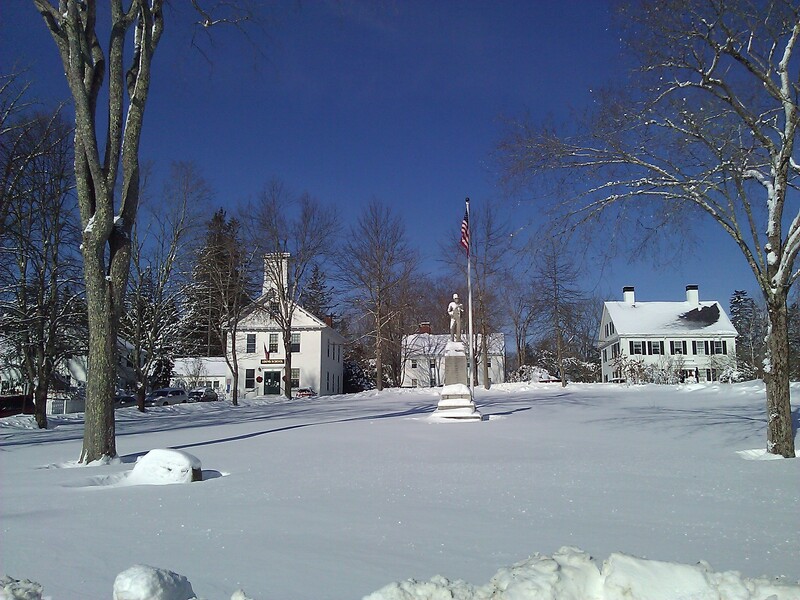 Not as many charms, but if you like snow and freezing cold weather, as I do, you might like a winter visit. I journeyed north to help with planning for a new exhibition about the town’s most exciting historical event. With players named Solomon Lovell, Dudley Sultonstall and Peleg Wadsworth, and a guy named Paul Revere, and a secret order, and a proposed new English colony for Loyalist emigres from the rebel colonies called New Ireland, the story contains all the elements of a drama. In 1779 the British Royal Navy sent Scottish troops to build Fort George to guard the entrance of the bay. Many Loyalists had moved to the area, convinced that the area would safely stay under British control. The Massachusetts colonial government was not happy about this military action and launched the Penobscot Expedition, a combined naval and ground effort to reclaim the area. The force managed to land, but miscommunication among the commanders, inadequate training and indecision resulted in an embarrassing defeat for the colonials. 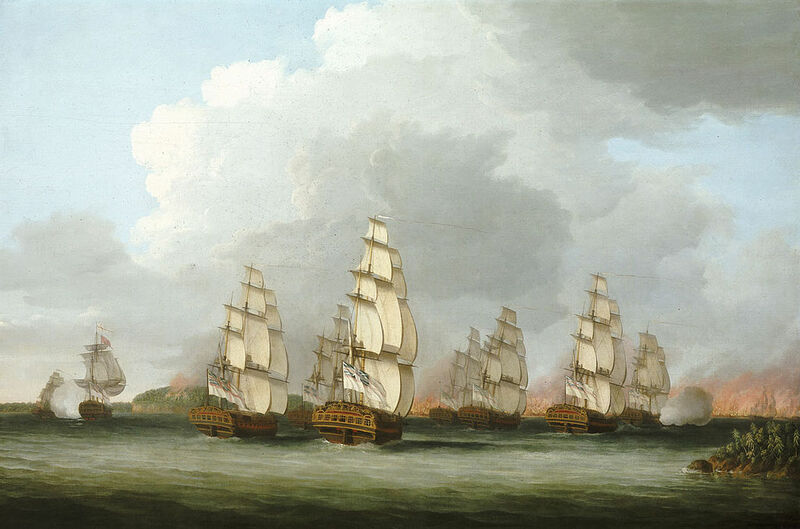 The navy sailed up the Penobscot River and burned their entire flotilla to avoid capture. One of the leaders was Paul Revere, who ended up fleeing the battle and running back to Massachusetts. It was not his finest moment. He was later placed under house arrest and eventually tried before a military court who acquitted him. With the end of the Revolution, officials set the boundary of the United States farther north so the Penobscot Loyalists, as they were called, packed up and headed northeast to found St. Andrews in New Brunswick, present-day Canada. Some of them even took along their houses and shops on barges. This entry was posted in 17th century, 18th century, American Revolution, city/town, fort, military and tagged American Revolution, Castine, Loyalists, ME, Paul Revere, Penobscot Bay. Bookmark the permalink. 1 Response to America’s worst naval disaster?